Fish farms develop rapidly in Uganda. Statistics show that an increasing number of fishermen began to produce their own fish feed. Fisheries contribute 20% of the total agricultural output and 5% to Gross Domestic Product. The Uganda Government has prioritized increasing the quantity of fish produced by 300,000 tonnes (wild caught and fish farm produce) in the next few years, and is aiming at increasing revenue from fisheries to $1b, from the current $110m. 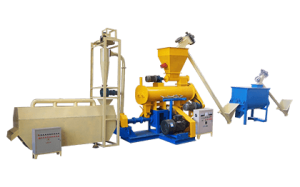 In 1st Nov. 2015, Fanway dry type fish feed extruder was sent to Entebbe, Uganda. This floating fish feed pellet mill is widely used to extrude grains into high-grade aquatic feed pellets for fish, catfish, shrimps, crab etc, and is mainly applied in small and medium size pellet production. Raw materials for the fish feed extruder can be: corn, wheat, soybean, grain, bone powder etc. Sinking and floating aqua-feed pellets both can be made just by adjusting feed formulation. 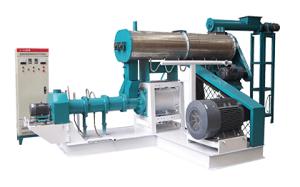 Our dry type fish feed extruder is increasingly popular with customers from the worldwide. 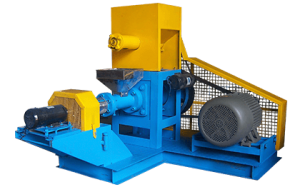 It is with easy operation, great efficiency, competitive price, and suitable for small and medium size pellet production. We also supply spare parts of the floating fish feed pellet mill for free including screw, screw turnbuckle and cutting tools.